I love logic puzzle toys. I spent hours and hours of my childhood playing with toys like these. And now my older son is getting to the age where he can appreciate them. I've had a lovely time looking into the best logic puzzle toys available for Christmas 2011. These toys are great fun but they're definitely educational too. They develop the kind of thinking skills you need for subjects like math and computing. And problem solving skills are useful in any career. I have a maths degree and a computing doctorate. Did the many, many childhood hours spent with logic puzzle toys help? I like to think so! The top selling logic puzzle toy this year is the Perplexus Maze Game. 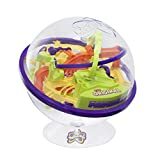 This Perplexus maze game is very popular this year. It's getting brilliant reviews. You have to guide a small marble through a 3D maze of obstacles. 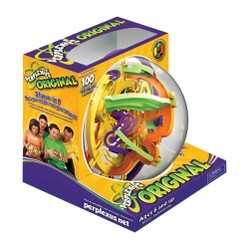 The Perplexus is for kids from age 6+ but it's the kind of toy that everyone will want to have a go with. It's a good toy for taking on car trips or a visit to the doctors or dentist where you might have to wait to be seen. Think Fun's Rush Hour game is a classic 1-person puzzle. This is the Junior version for kids age 6-8. You have to set up the board to match one of the challenge cards and then move vehicles until you can get the Ice Cream truck free. You get 40 challenge cards and there are four different difficulty levels so the game will last a while as kids progress to harder levels. 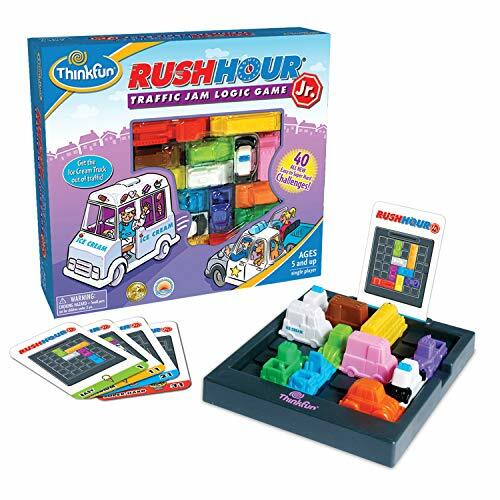 I bought Rush Hour Junior for my nephew when he was 5 and he really enjoyed it so for a child who like maths and logic I think it's fine for a 5 year old. Camelot Jr is a lovely logic puzzle game made from gorgeous wooden building blocks. 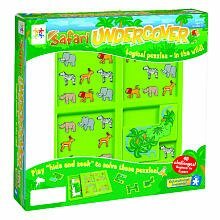 Safari Undercover is a logic game where kids have to position the pieces to get the right layout of animals. 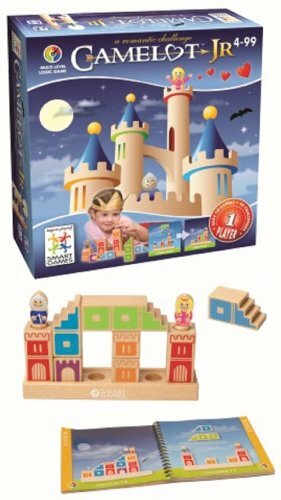 It comes with 48 different challenges at 4 levels of difficulty so this is a logic puzzle toy that will keep a child's interest for a few years, or will work well for a family with different aged children. I've asked for this for my 5 year old son for Christmas because he absolutely loves Safari animals and I think he'll enjoy the problem solving. 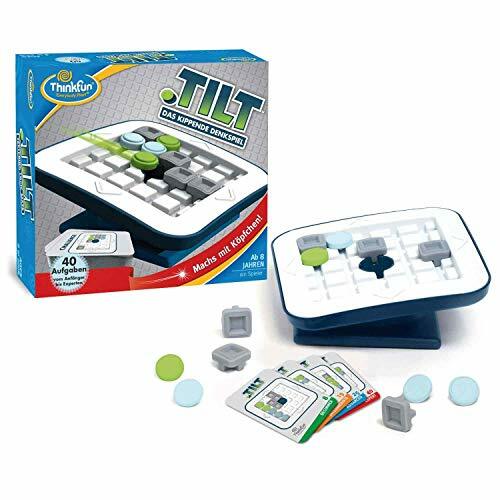 Another great puzzle game from ThinkFun is Tilt. This one is aimed at bigger kids and is a good choice for tweens and teens, and adults too. The idea is to get the green sliders into the hole in the middle without losing any of the blue sliders. You set up the board according to the challenges. Watch the video to see how this 1-player game works. 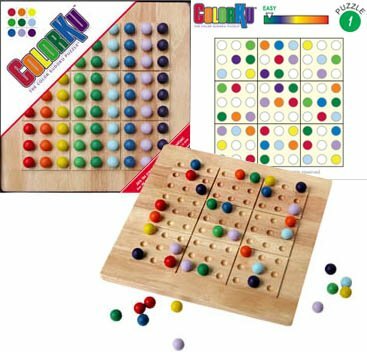 Colorku is a wooden solitaire game that has a lot in common with Sudoku. You get over 100 puzzle cards that show you how to set up the challenge and then you have to complete the board without duplicating a color in any row or column. The challenges are coded with 5 levels of difficulty. This is a good logic puzzle game to choose for a family with older kids. Colorku is gorgeous and will look lovely on display - and get visitors hooked! Do you know someone who would like a Logic Puzzle Toy? These look like a lot of fun! I think they'd make some great Christmas presents. I've always loved Logic puzzles, and these toys look like fun for me. When my grandson is older I will introduce him to puzzles like these. (He's 3 months -- still just a little early for these!). Yes, me! I love these kinds of mind teasers. So good for critical thinking skills and warding off Alzheimer's! Preschool learning is all about play. Find suggestions for toys that encourage your one's learning in problem solving and other cognitive skills. A lovely bright wooden abacus by Melissa and Doug - makes learning math fun for kids!